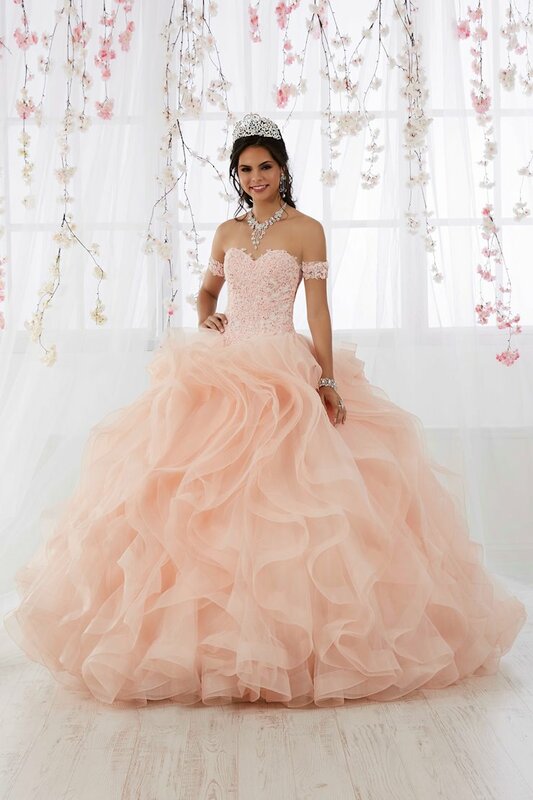 This two piece princess ball gown will make you shine under the stars! 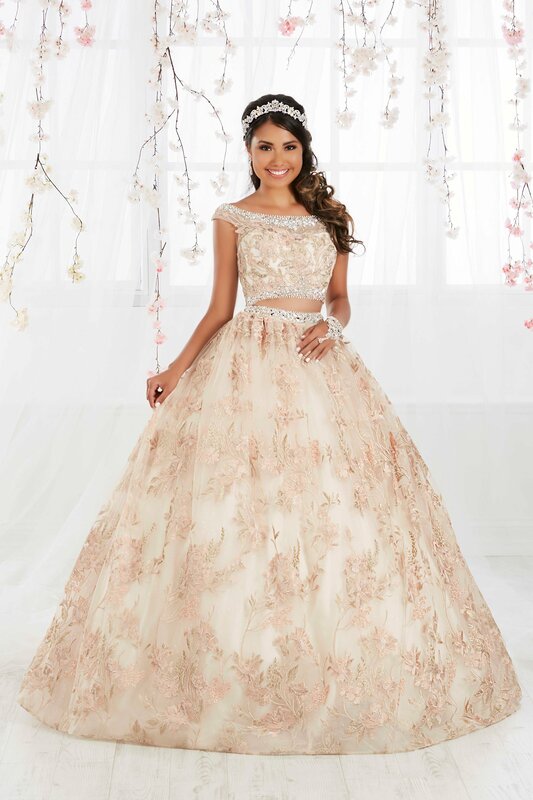 The top features crystal beading and floral lace applique. The tulle skirt is combine with multiple layers of tulle and lace for touch texture and volume.